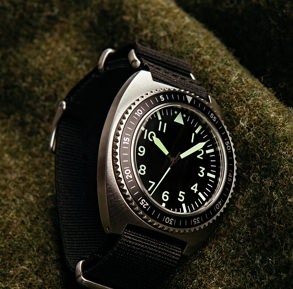 The Best Sub-$200 Military Watches | Valet. Huckberry is known for finding well made and good looking gear and offering it at a great price. And recently, when the team went looking for the perfect military field watch, they weren't happy with the offerings out there. It had to be affordable and it had to be good looking, but they were committed to it having bulletproof reliability too. So they commissioned their dream watch. 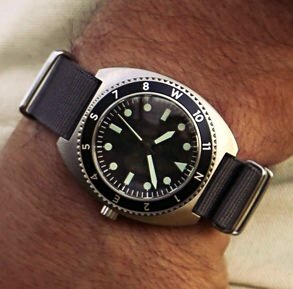 The brand's new range of timepieces, dubbed Standard Issue Instruments, offers best-in-class pricing and components, starting with a pair of tool watches inspired by the ones worn by the Special Forces in the 1960s and '70s. 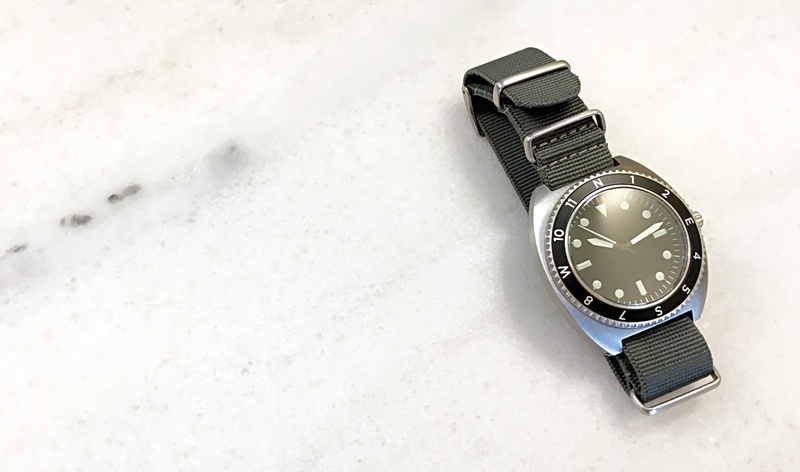 The case itself has a sturdy heft but is surprisingly light when worn on the wrist with a comfortable and interchangeable 5-ring nylon NATO strap. Inside, a reliable Swiss quartz Rhonda movement keeps perfect time while the outside is left unbranded—a subtle nod to the sterile gear issued to those deployed deep behind enemy lines. Affordable timepieces and metal and leather jewelry made especially for tough guys. Handsome timepieces with reliable Swiss movements for less than $150.